Dr. Doug Cossar is a biotech industry veteran with 30 years of management and research experience. Prior to joining PlantForm as Vice-President, Research, Dr. Cossar was research manager, biotechnology, at Croda Europe Ltd. He has served as principal investigator, biotechnology, for the Structural Genomics Consortium and in senior positions at Canadian biotech company Cangene and the Public Health Laboratory Service in the U.K.
Dr. Cossar has a PhD in Microbiology from Heriot-Watt University, Edinburgh. His expertise spans protein expression and analysis, GMP manufacturing for biopharmaceuticals, process validation, natural product manufacturing, as well as research in microalgae and fungal biochemistry/physiology, protein structural biology and synthentic biology. 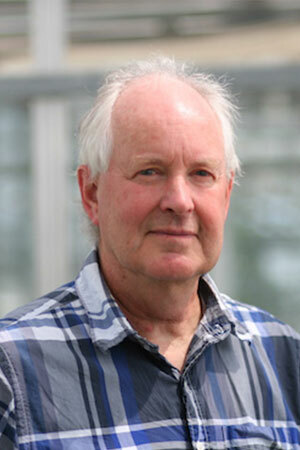 Dr. Cossar is chair of PlantForm's Scientific Advisory Board (SAB).